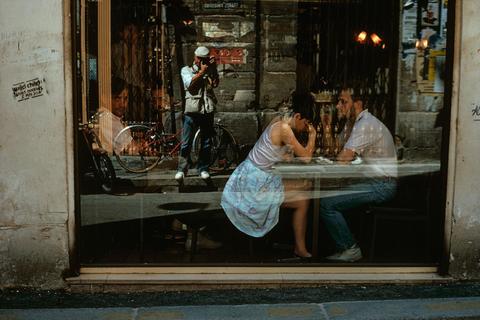 The son of a Swedish immigrant, William Albert Allard was born in 1937 in Minneapolis, Minnesota. He studied at the Minneapolis School of Fine Arts and the University of Minnesota. 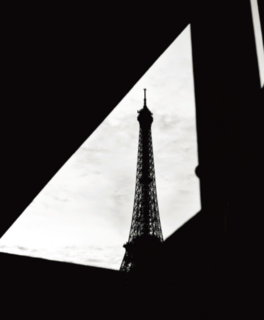 "I sometimes wonder if perhaps I flatter myself by using the French term flaneur to describe how I photograph when in Paris. But for more than 50 years as a photographer - no matter where in the world my magazine assignments or self-determined travels have taken me in quest of imagery - I have, in fact, adapted the manner of a flaneur: I have always preferred to simply wander and watch. In the words of Edmund White, author of The Flaneur: A Stroll through the Paradoxes of Paris, a book I consider akin to a bible of human observation-at least as regards the streets of Paris - I have often been an "aimless stroller who loses himself in the crowd, who has no destination and goes where ever caprice or curiosity directs his or her footsteps." Within my profession, I have long been considered a 'street shooter'." Allard is a photographer of people. From the beginning of his illustrious career in 1964 as a National Geographic photographic intern, Allard has contributed to 42 Geographic articles as a staff, freelance, and contract photographer and writer. His stories for the magazine have included "Rodeos: Behind the Chutes," "India's Untouchables," Bohemian Rhapsody," and "Hutterite Sojourn." Born in Tokyo, Japan, in 1980, Medical doctor and Photographer Yasuhisa Ishii began photography with a Leica M8 in 2009. "Paris-Tokyo", made in 2013-2014, pursues a "Silence" in two different "noisy" Metropolises. Ishii introspects his own self in the noisy Tokyo, in other words, Tokyo made him. "A metropolis is a human made complex so has artificial noise that make people anonymous. I try to find silence in noisy Metropolises. Monochrome works to avoid noise, and has faint silence and clear will." This series premiered at the Commercial Gallery and International Photography Festival in Krakow, Poland in 2017. "Paris in April" Exhibition is on view from April 5 - May 13, 2018. С понедельника по пятницу в качестве дополнительной парковки можно использовать автостоянку справа от магазина.